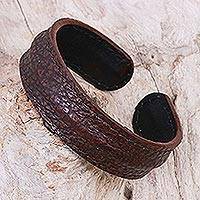 Dark Brown Leather Cuff Bracelet for Men from Thailand, "Dark Warrior"
Thailand Men's Dark Brown Leather Cuff Bracelet, "Basic Dark Brown"
Crafted by hand, this bracelet by Chaloemphon showcases a subtle reptilian texture on supple leather. 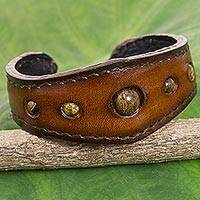 He creates this dark brown leather cuff for the contemporary man. 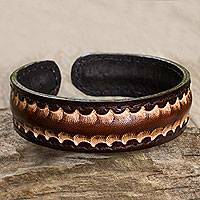 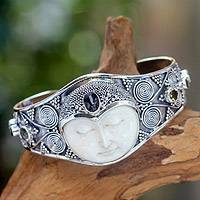 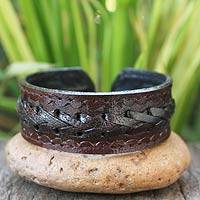 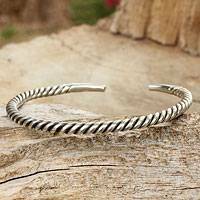 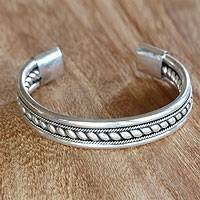 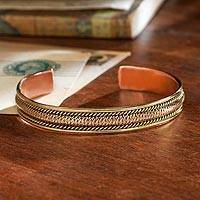 Men's Artisan Crafted Leather Cuff Bracelet, "Brown Braided Path"
Crafted by hand, this bracelet by Chaloemphon features rich braided textures. 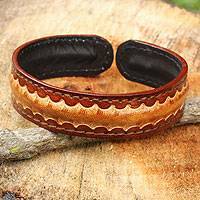 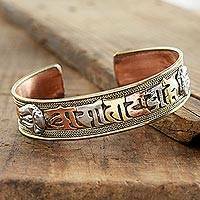 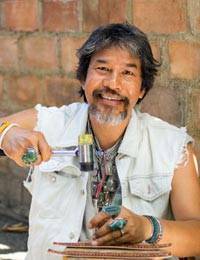 He creates this brown leather cuff for men.